Benjamin P. "Ben" Mouton is a civil trial attorney and focuses his law practice on personal injury, plaintiff's medical malpractice, physician errors, hospital negligence, nursing home negligence, prescription drug errors, wrongful death, amputations, brain injury, birth injury and legal malpractice cases. Mr. Mouton was born in New Orleans and grew up in Lafayette. He graduated from the University of Southwestern Louisiana in 1987 with a major in business administration. He earned a law degree from Louisiana State University in 1990 and immediately went into the private practice of law. 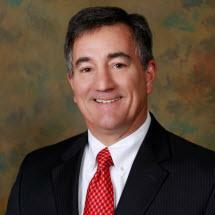 He joined the firm in October 2000 and has more than 28 years of experience as a trial attorney. He has a statewide practice in both state and federal courts. Ben is Board Certified in Medical Malpractice Law by the American Board of Professional Liability Attorneys (ABPLA) – one of only 16 attorneys in the state who have earned this distinction. He has also served on the organization's Board of Governors since 2010. He is a member of the Louisiana State and Baton Rouge Bar Associations. Ben is a Double Century Club member, having donated 200+ hours of pro bono legal service in the Baton Rouge metro area. He is also a member of the American Association for Justice and the Louisiana Association for Justice (LAJ), as well as being a member in the Professional Liability/Medical Malpractice Sections of both organizations. In 2011, Ben was selected as a member of the Top 100 Trial Lawyers by the National Trial Lawyers. Since 2008, he has served on LAJ's Legislative Committee. He is a past Chairman of the Medical Malpractice Section of LAJ. Also, in 2009, he was nominated to serve on the Louisiana Health Care Commission by LAJ having served a two-year term. He is also a member of the LAJ Board of Governors beginning in 2010. He is a frequent speaker to lawyers, judges, law students, adjusters and paralegals on such topics as medical malpractice, trial practice and medical records. He has also served as an expert witness in legal malpractice cases. Lead (18) and Co-Counsel (7) in twenty-five civil jury trials involving plaintiff medical malpractice claims. Lead (6) and Co-Counsel (3) in nine bench trials involving plaintiff medical malpractice claims. Lead (1) and Co-Counsel (1) in two civil jury trials involving plaintiff personal injury claims. Lead Counsel in numerous medical review panel proceedings in which the Panel rendered an opinion favorable to the claimant. Lead Counsel in many successful mediation conferences involving plaintiff medical malpractice claims and plaintiff personal injury claims. Lead Counsel in many bench trials/hearings involving plaintiff medical malpractice claims, plaintiff personal injury claims, child custody, child support, spousal support, community property partitions, boundary disputes and contract disputes. Lead Counsel in many plaintiff medical malpractice claims, plaintiff personal injury claims, child custody, child support, spousal support, and community property partitions that were settled before trial with and without alternative dispute resolution. Lead Counsel in several plaintiff medical malpractice claims filed as Federal Tort Claim Act actions in federal court. Lead Counsel in 20+ hearings before Social Security Administrative Law Judges involving social security disability claims. Named one of the Top 100 Litigation Lawyers in Louisiana, The American Society of Legal Advocates, 2013, 2014.